Mendeley is not only a citation management program, but a tool for discovering papers and connecting with research groups. This can be done with the Mendeley Web components available at www.mendeley.com . 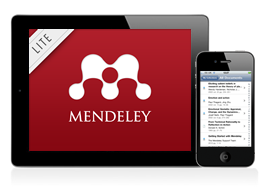 This section will briefly review Mendeley Web components, and some recommended apps to work with Mendeley on the go!